We don't know what's more enticing about this b-day card-the compliment, or the delicious-looking cupcake! 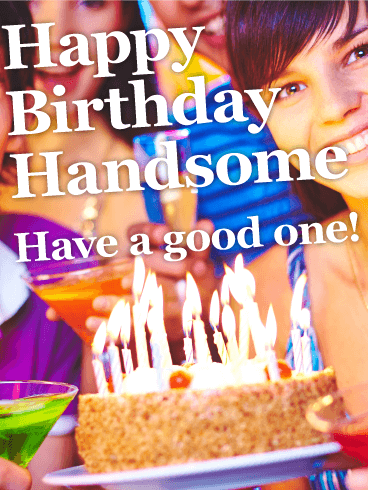 For the special man in your life, you can't go wrong with this b-day card that provides both of those amazing features. 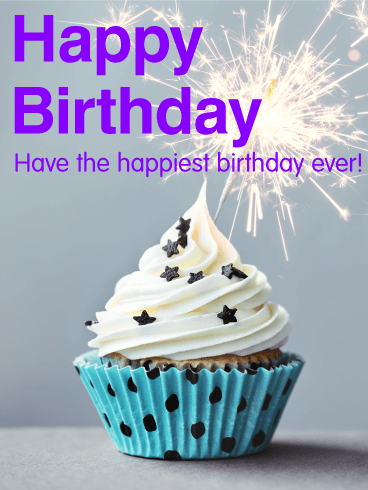 The colors make this an old-school, throwback card, and the guy you love celebrating a birthday will absolutely adore it! Is your best friend or brother celebrating a birthday today? Do you want to let your dude know that you are thinking about him on his special day? Then send him this Happy Birthday card! The cake, candles, and gift will remind him of past birthday fun and make him excited for celebrations to come. 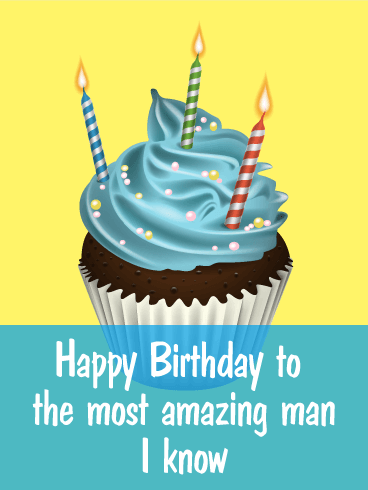 Send this card to say "Happy Birthday" to your favorite dude today! Birthdays are for celebrating the life of the people you hold dear. 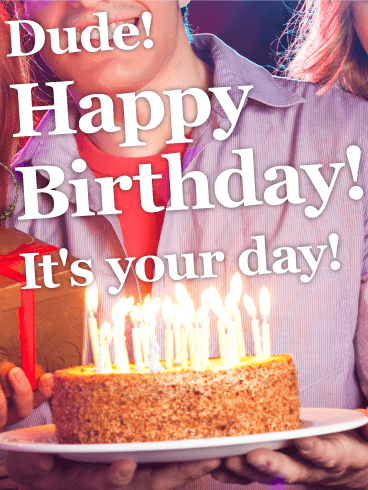 Celebrate your special man's birthday by sending him this fun, party-filled Happy Birthday card! The excitement and cheer in the card's picture will get him excited for his birthday celebrations with friends and family. Show your handsome man that you are happy to know him on this special day! What is your favorite kind of cake? How about a birthday cake! This trendy birthday card features a scrumptious cupcake with plenty of icing and black star sprinkles. The black polka dots on the blue cupcake liner and sparks from the bright sparkler will help you say, "Have the happiest birth-day ever!" Send this birthday card to a friend, coworker, or family member to celebrate the passing of an-other great year!